I traveled to Bemidji last month to do my part testifying against the expansion of a tar sands oil crude pipeline through northern Minnesota. It was a good trip in many ways. For one, I and the group I traveled with got a chance to take a brief “pipeline tour,” the chance to see what pipeline corridors look like first hand. It made the debate less abstract to me. 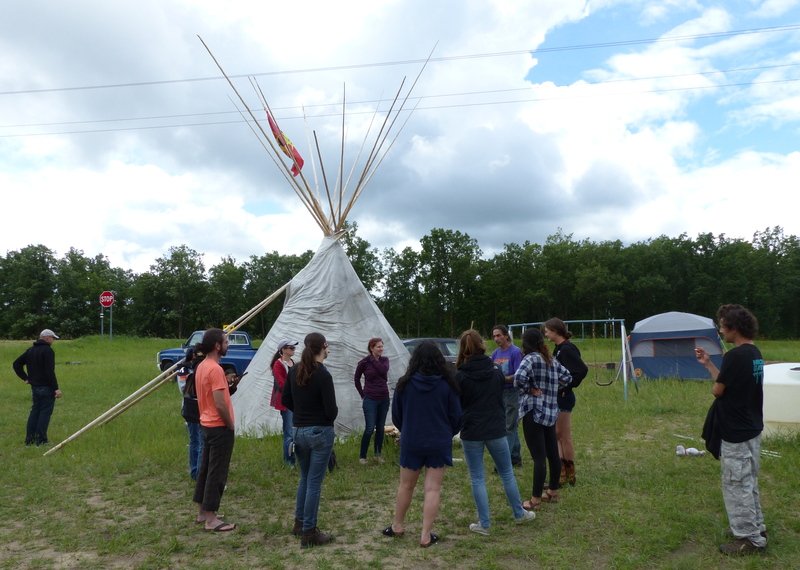 The group also traveled to Turtle Island Camp, a small camp where William Paulson and other Anishinaabe are working to reclaim their culture — and are taking a stand against Enbridge Line 3. 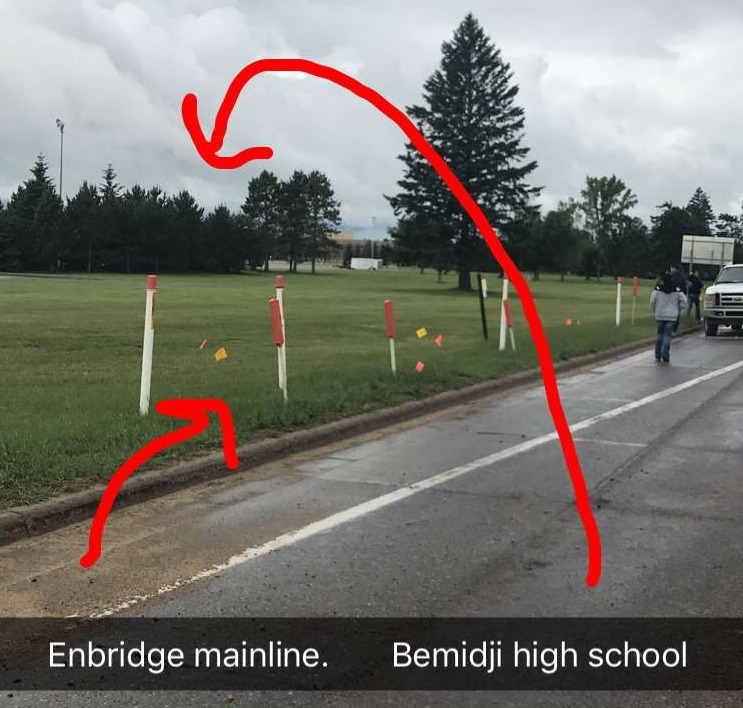 Sarah Wells (Headbird) took a group of us on the pipeline tour, starting at Bemidji High School. The school is relatively new, built in 2000 well after the pipeline corridor was established. The pipeline corridor is within a few miles of downtown Bemidji. Enbridge’s plan would abandon the old Line 3 in the ground. It would install a new and larger pipeline along a new corridor that goes south of Bemidji, then east to Superior, Wisconsin, passing through the Mississippi headwaters along the way. 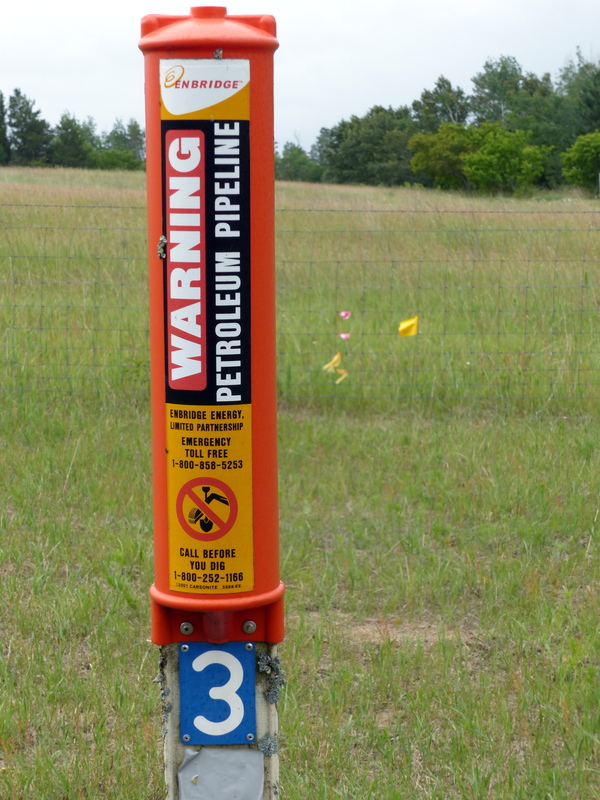 The main pipeline corridor through Bemidji would remain. Those on the tour talked about the possibility of organizing a larger pipeline tour for people from the Twin Cities. An idea that is still percolating. Feedback welcome. 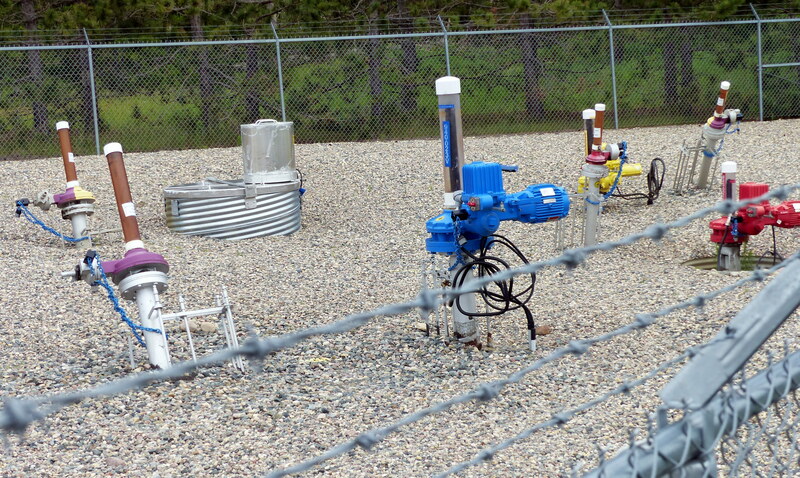 Our next stop was to see one of the fenced areas with bleeder valves, where the tar sands pipelines bleed out air from the pipes. We saw this stack of pipes along the highway. Wild parsnip (Pastinaca sativa) recognized by the Minnesota Department of Natural Resources to be an invasive noxious weed has been introduced to the Fond du Lac Reservation along existing pipeline rights-of-way. Contact with this plant can lead to extremely painful rashes over the skin. This is particularly important in the context of a pipeline within reservation lands and ceded territories that are used by local indigenous groups for food gathering. 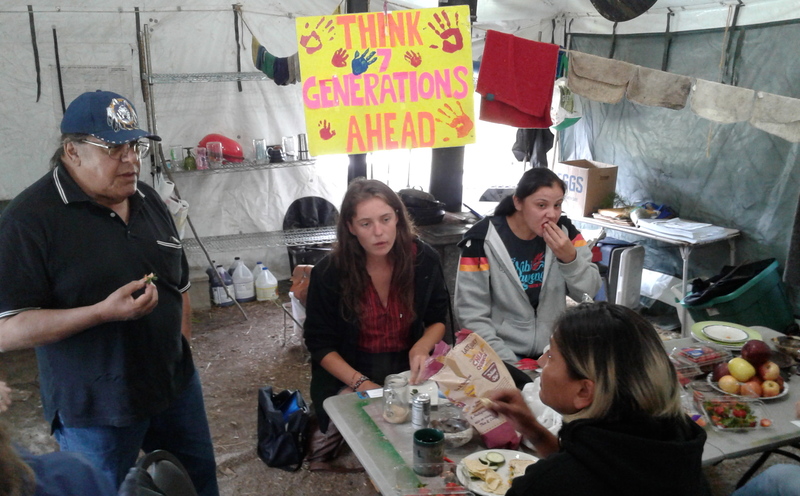 A meal at Turtle Island Camp. 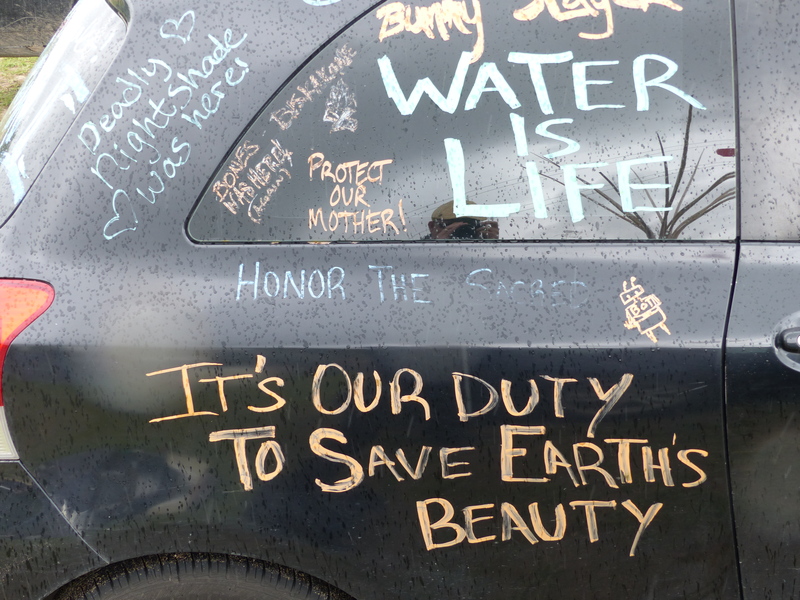 The impacts associated with the proposed Project [Line 3] and its alternatives would be an additional health stressor on tribal communities that already face overwhelming health disparities and inequities.